In this Destiny 2 guide we'll be giving you all the tips and tricks you need for the game, including how to earn Glimmer, how to level up, how to unlock Exotic weapons, and how to earn yourself a Sparrow. Whenever the three Destiny 2 Factions reappear in the Tower, you'll be able to pledge your allegiance to one of them, and then trade in Faction Rally Tokens to your side, in exchange for various rewards. In this Destiny 2 Faction Rally event guide, we'll be walking you through how to pledge your allegiance to one side, as well as how to earn Faction Rally Tokens. In case you need anything else related to the expansive game of Destiny 2, including a comprehensive list of every other vendor in the game as well as their rewards, on top of a walkthrough of the difficult Leviathan Raid, head over to our Destiny 2 guides walkthrough hub. Dead Orbit - The Dead Orbit Faction is represented by the somber looking Arach Jalaal, and were introduced later in on the lifespan of the original Destiny. Future War Cult - Represented in Destiny 2 by Lakshmi-2, the Future War Cult Faction is home to Destiny 2's second robotic vendor, the other being the Gunsmith Banshee-44. New Monarchy - The third and final faction being introduced in the Faction Rallies event, the New Monarchy Faction is represented by the sinister Executor Hideo. Just below, we've posted a screenshot of where you find every Faction Rallies vendor within the Traveler social hub. 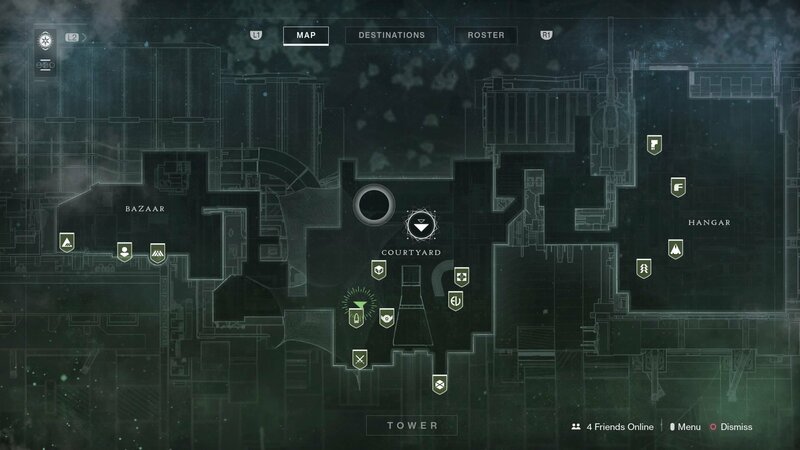 New Monarchy can be found to the very left of the area, near Hawthorne and Ikora Rey, while Dead Orbit and Future War Cult can both be found in the Hangar area of the Traveler, near Amanda Holliday and Cayde-6. Once you've pledged allegiance to one of the three factions, you'll then have to earn Faction Tokens, which you can do by taking part in Public Events, Lost Sectors, Strikes, Crucible matches, or completing the Leviathan Raid. You'll have to turn in roughly 20 Faction Tokens to your chosen representative in order to earn a reward package from them, and this is basically how the vendor rewards system works in the rest of Destiny 2. Once you've turned in enough Faction Tokens to earn a Reward Package from your chosen Faction representative, you'll earn a random weapon, armor item, or shader from said vendor. We can't guarantee which items you'll earn on any given chance, meaning you'll have to roll the dice and hope for the best gear. Whenever the Faction Rallies event draws to a close, Bungie will tally the total Faction Tokens that have been turned into each faction since the event began. 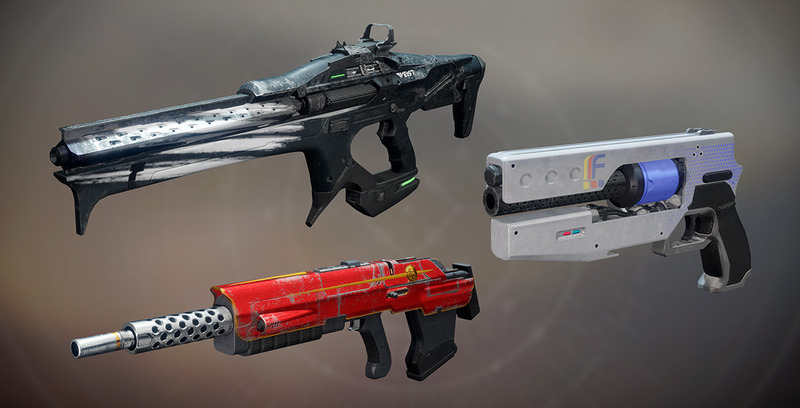 The Faction that has earned the most total Faction Tokens will then be declared the winner, and players that originally committed to that winning Faction will then have the opportunity to purchase a "powerful weapon" from their representative vendor, for the small price of 50,000 Glimmer. So, all that's left for you to do now is choose which Faction you want to pledge your allegiance to now that the Faction Rallies event has kicked off. If Bungie ever make any changes to the way that the Faction Rallies event functions, you can be sure to read about it all here. If you need help covering anything else found in the Destiny 2, then head on over to any of our other guides, including our guide to the Farm Social Space, as well as a complete Crucible mode guide. Tagged with Bungie,	FPS,	Guides,	PC,	PlayStation 4,	Shooters,	Xbox One. A popular feature could have come to Destiny 2. Here's our full guide to the various Mortal Kombat 11 characters, including information on both DLC and leaked fighters. Does Days Gone Have Multiplayer? Days Gone is the latest first-party effort from Sony. It definitely focuses heavily on character development and story, but is there any multiplayer functionality? Raids are set to arrive in The Division 2 very soon indeed. Let’s take a look at what Operation Dark Hours has in store. Melee weapons will be your bread and butter when taking out Freakers at close range. Here’s how to craft them. Details for Apex Legends Season 2 will be revealed at EA Play. Epic's CEO issues Steam an offer it'll probably refuse. All you have to do to play the new Call of Duty game early is to be a world-class athlete. Days Gone Review Days Gone hides itself like its hero hides his emotions. Why There Are No More Marvel Cinematic Universe Games Once upon a time, there were MCU games. (They weren't good.) Please Stop Comparing Games to EarthBound The desire to make "the next EarthBound" is understandable, but it's also misguided in some important ways.